I’ve heard it said that libertarians are born, not made, that those of us who support freedom do so because of something in our temperament. Though I hope that this assertion isn’t true to the point of exclusivity – the world needs far more of us – I was indeed a libertarian long before I know what the word meant. Like so many in my generation, I discovered, and loved, the novels of Ayn Rand: Anthem, The Fountainhead, and Atlas Shrugged. In no sense did these works “convert” me. 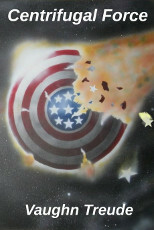 Even as a child, I valued the American ideals of freedom and individuality. Maybe it was my upbringing on a family farm in North Dakota, where the harsh environment and fickle climate teach the importance of hard work and responsibility. It could have been the Cold War propaganda that instructed us all in the importance of our heritage. There was also the rise of the Counterculture, which opposed the government’s foreign wars, and exposed these misadventures as the machinations of wealthy military profiteers. As a teenager I considered myself a leftist, but I dropped that label the moment I discovered a better alternative. 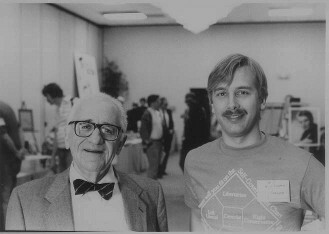 Years later, I met my idol (and ‘banished’ associate of Rand,) the great Murray Rothbard. I’ve also been a devotee of science fiction since the time I first learned to read, devouring the works of masters like Asimov, Heinlein, Bradbury and Clarke. My favorite television shows were Star Trek and the gadget-based spy shows The Avengers and Wild Wild West. So it was only a matter of time before I began writing in the genre myself, event there were a few false starts along the way. As you might expect, my first book, Centrifugal Force, has a strong political theme. In an effort to build my so-called ‘platform’ as a writer, and to spare my friends and family from my frequent rants about the Rotten State of The World, I have inaugurated this blog. Here’s hoping it enlightens and stimulates the minds of as least as many people as it infuriates.